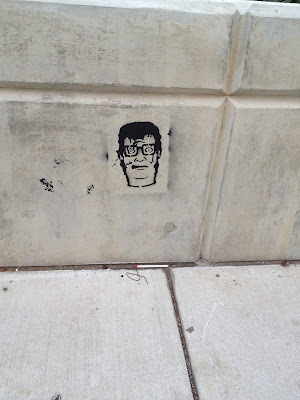 Spotted some new stencils on the Diag yesterday. 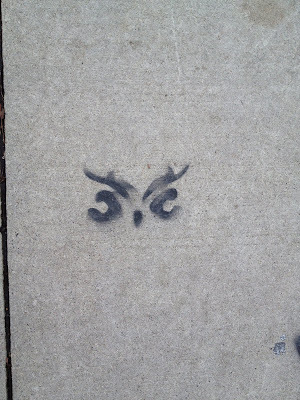 You can approximate a tagger's trajectory through the city by connecting a line of freshly painted stencils. Much like you can follow a buck in the woods by tracing a line of rubs and scrapes. 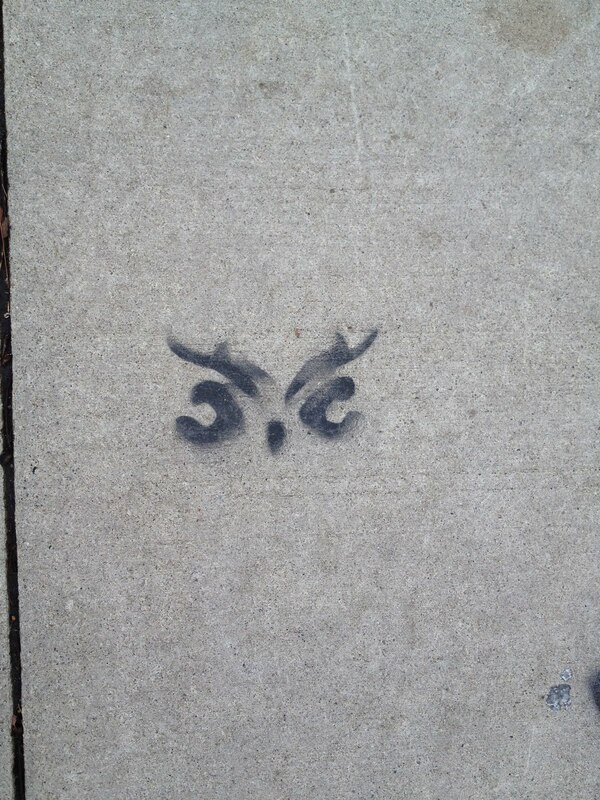 I like this owl stencil. There's a lot of overspray on this Batman one. 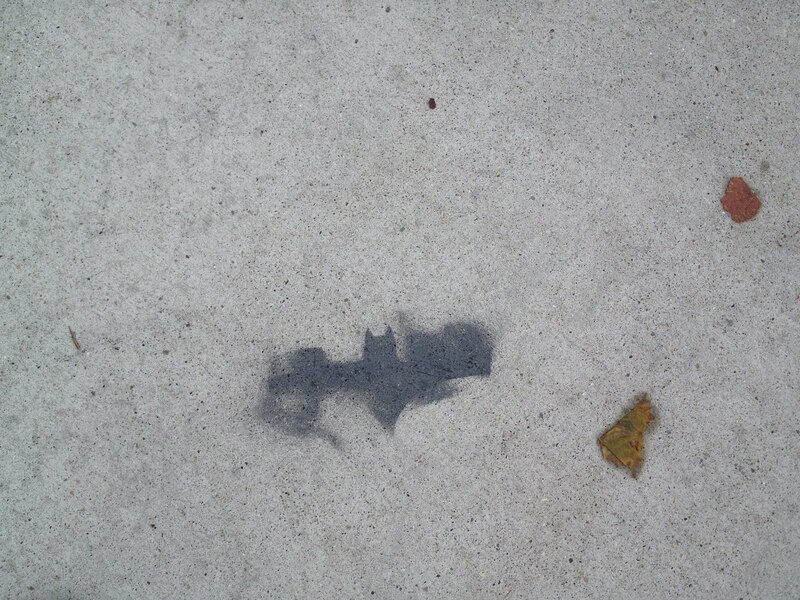 Well at least I think it's Batman. I'm really digging this Hank Hill one. It looks like it might be the last stencil made of the evening. Crisp lines and little overspray. Clearly the tagger was warmed up at this point.